The ideas presented in Divine Renovation are guiding change in our parish. Over 40 parishioners participated in the book discussion groups held in the parish over Lent and many more have read the book on their own. We are gathering feedback that will help form vision and mission priorities in our parish. 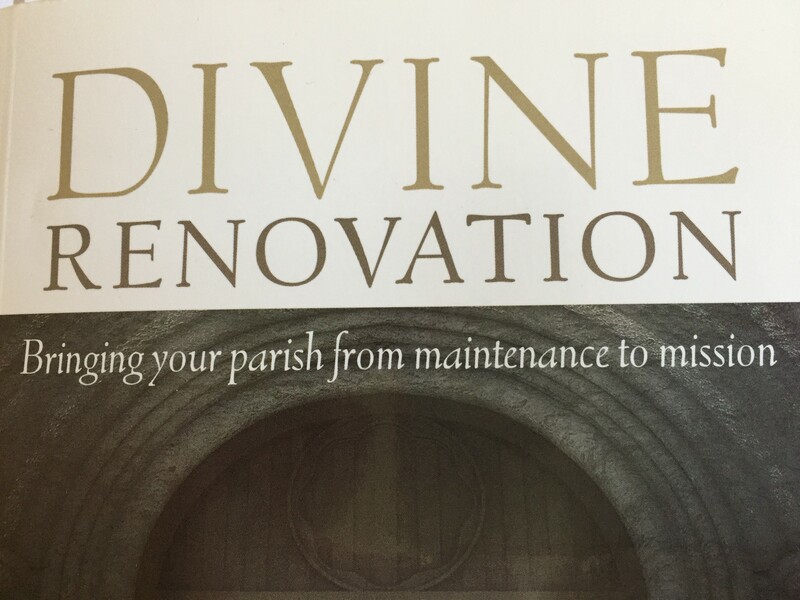 Please take time over the coming weeks to complete the Divine Renovation Book Discussion Feedback Form and return it to the parish. The Divine Renovation Team will collate the feedback and discuss what steps we can take as a parish community to begin to allow the ideas to grow into a plan and process for the parish. These outcomes will be shared with the parish community in the coming months.